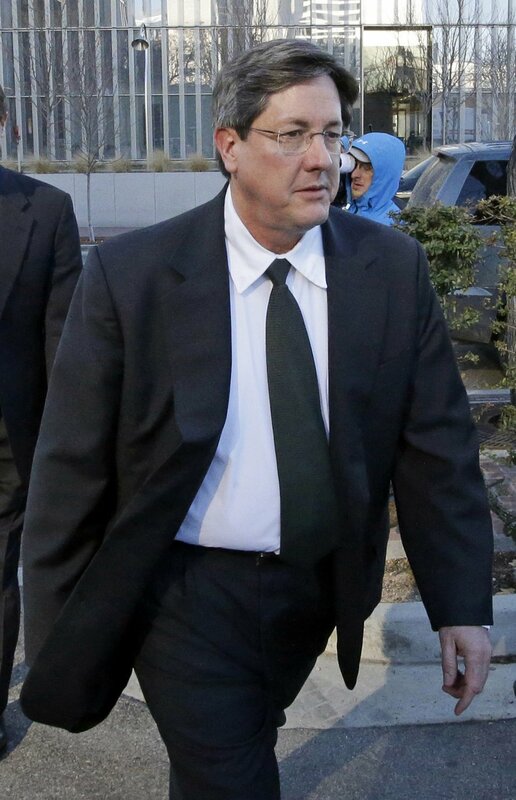 Lyle Jeffs, who once was the day-to-day leader of the polygamous Fundamentalist Church of Jesus Christ of Latter-Day Saints, was sentenced Wednesday to nearly five years in a federal prison for defrauding a government assistance program and then fleeing. U.S. District Judge Ted Stewart sentenced Jeffs to 57 months in prison, followed by three years of probation. Jeffs also was ordered to pay $1 million in restitution to the U.S. Department of Agriculture, which oversees the program that Jeffs and his fellow FLDS members were convicted of defrauding. “As far as my religious beliefs, they are sincere,” he added, specifying he doesn’t watch television or listen to modern music. “I don’t intend to compromise that,” Jeffs said. He then asked Stewart for leniency. Prosecutors had sought a 71-month sentence. 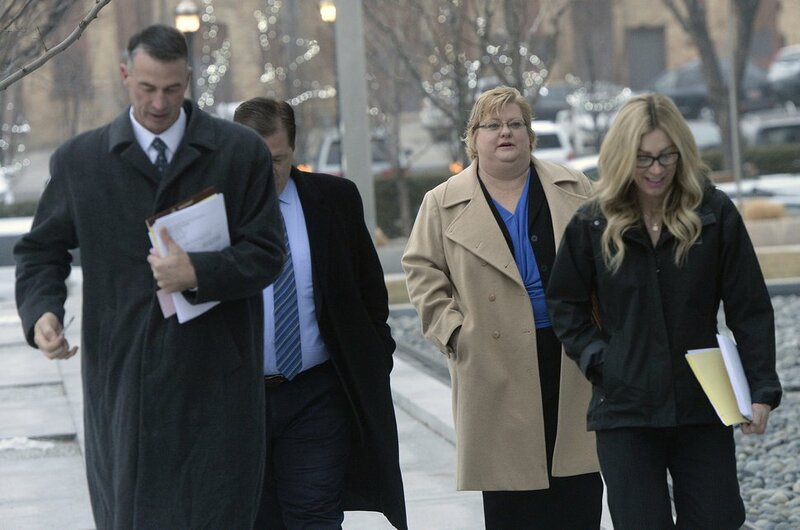 (Al Hartmann | The Salt Lake Tribune) Lyle Jeffs defense team enters Federal Court in Salt Lake City Wednesday Dec 13. Jeffs is being sentenced in federal court for his role in the food stamp scheme. Wednesday’s hearing at times went into territory already covered during the prosecution — Jeffs’ and the FLDS’ beliefs, which includes a communal form of living. Defense attorney Kathryn Nester has argued throughout the case that FLDS members, under Jeffs’ direction, were merely donating their benefits from the Supplemental Nutrition Assistance Program (SNAP) in the same way that people of other faiths might take a covered dish to a church potluck. 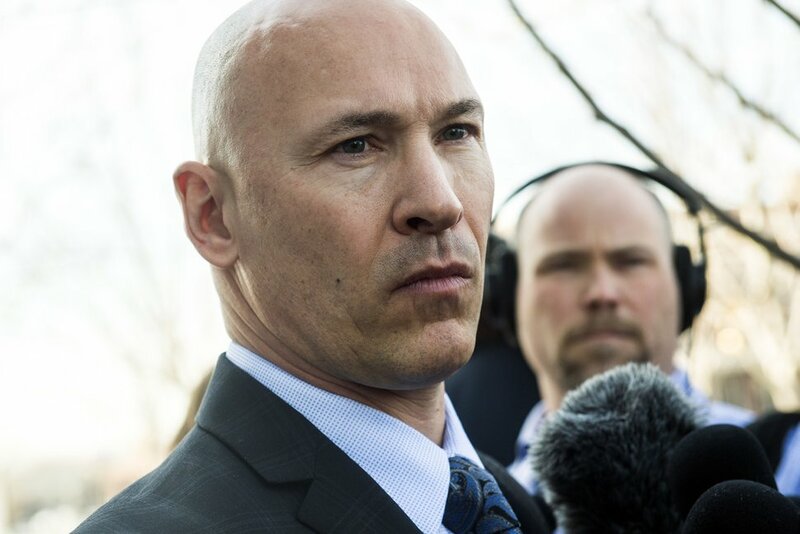 Prosecutors have contended it was a fraud that cost taxpayers almost $12 million — though Stewart on Wednesday sided with a defense estimate of about $2 million —and took food away from FLDS members who had no other means to eat. Nester began her arguments Wednesday by saying nothing about the case was ordinary. Everything about it “has been without precedent, as far as I’m aware, in this country,” she told Stewart. Nester told Stewart the crimes won’t be committed again. Stewart referred to letters he received in support of Jeffs, and which are not part of the public court record. Stewart then apparently summarized what some said. Federal prosecutor Rob Lund argued that Jeffs, while a first-time felon, had broken laws for years, including presiding over marriage ceremonies to underage brides, violating child-labor laws and other misdeeds ordered by his brother, FLDS President Warren Jeffs. Chris Detrick | The Salt Lake Tribune Prosecutor Rob Lund talks to members of the media outside of the Federal Courthouse in Salt Lake City Wednesday February 24, 2016. Lyle and Warren Jeffs presided over a “culture of corruption” in Hildale, Utah, and Colorado City, Ariz., Lund said. In explaining the sentence — 45 months for pleading guilty in September to one count of defrauding SNAP, and 12 months for a count of failure to appear in court — Stewart said it was “overly simplistic” to blame Lyle Jeffs for food shortages among the FLDS, but that his actions did harm that community. Prosecutors contend Jeffs pressured or ordered FLDS members to turn over the food they purchased with SNAP debit cards to the church, or to swipe the cards at two church-controlled groceries so the benefits could be converted to cash. But the case against Jeff changed in June 2016, when he slipped off his ankle monitor and absconded from pretrial release. He was arrested almost a year later in Yankton, S.D. Stewart later ruled that jurors would be able to hear about the absconding while they also considered whether Jeffs committed fraud. The plea deal was reached shortly after that ruling. 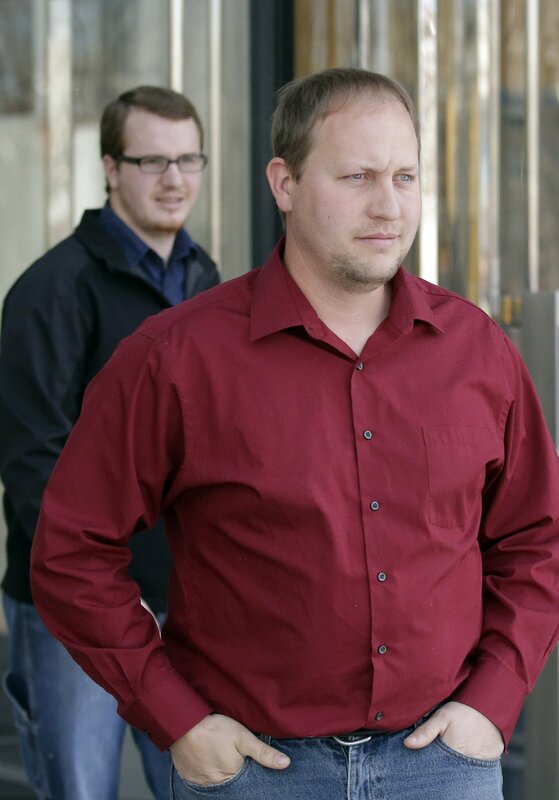 Jeffs’ co-defendants fared better. Two of them — John Wayman, another former FLDS bishop, and Seth Jeffs, another full brother to Lyle — pleaded guilty to felonies. They received credit for time served and were released from jail after entering their pleas. Seven other defendants pleaded guilty to a misdemeanor and received no jail time, no probation and did not have to pay restitution. The charges against another co-defendant were dropped. Lyle Jeffs’ position and standing within his church declined leading up to or during his run for the law. FBI documents filed with the court discussed a falling-out between Lyle and Warren Jeffs. Nester on Wednesday told Stewart that her client had not received any family visitors at the jail and had no money in his commissary account. No supporters of Lyle Jeffs were apparent in court Wednesday. Yet, Nester told Stewart that her client would ask to be sent to one of two federal prisons in Colorado to make visits easier for his family. After the hearing, Lyle Jeffs’ eldest son, Thomas Jeffs, who left the FLDS years ago, said outside the courtroom that he was satisfied with the prison sentence. “Maybe if he spends enough time in there, he’ll think about things,” the son said. 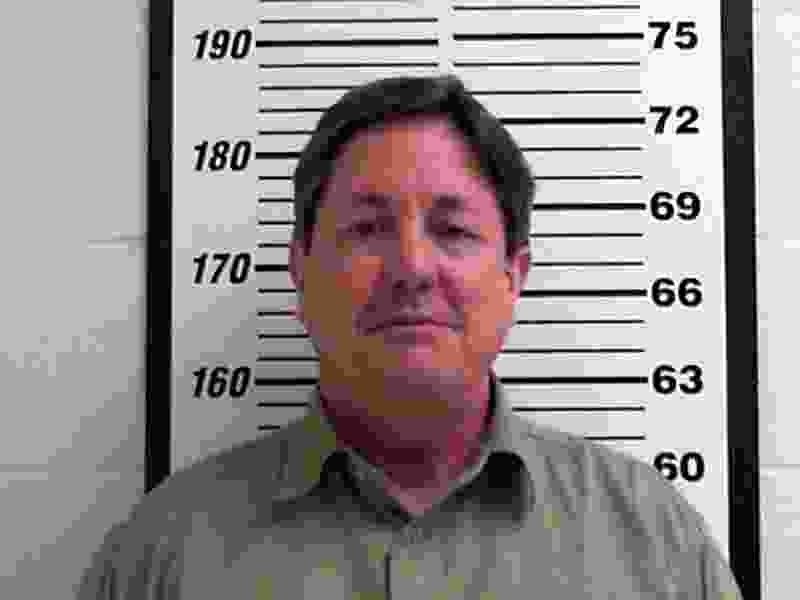 Lyle Jeffs once had nine wives, and he has about 60 children, according to family members. His legal wife, Charlene Wall, divorced him in 2015. A plural wife, Christine Black, is seeking child support from him through the state of Utah, according to filings in state court. Correction at 9:40 a.m. on Dec. 14, 2017: An earlier version of this story reported that Lyle Jeffs’ attorney requested he be sent to federal prisons in California or Colorado. The court docket shows the attorney actually requested he be sent to one of two prisons in Colorado.